Our most popular class is back!! Come get your hands dirty and dive into creativity! This class is designed for the complete and total beginner OR those people that like to try new things. We will try out several different artistic mediums throughout the course of this class including zentangle drawing, painting with acrylics and watercolour, alcohol inks, print making, mixed media, collage, clay and more! Every 8 week session is different so you could come back again and again and never repeat the same project twice! If you have never sat down at a pottery wheel before but have always wanted to give it a try, this is the class for you. Artist and instructor Carla Lorence and Karlie King, will teach participants the basics of wheel throwing techniques as well as how to prepare clay, use and care for tools. Each class will begin with instruction and demonstration, then students will spend time practicing what they have learned. This class focuses on the process of creating pieces on the wheel, so the emphasis each class is on skills rather than a finished product. 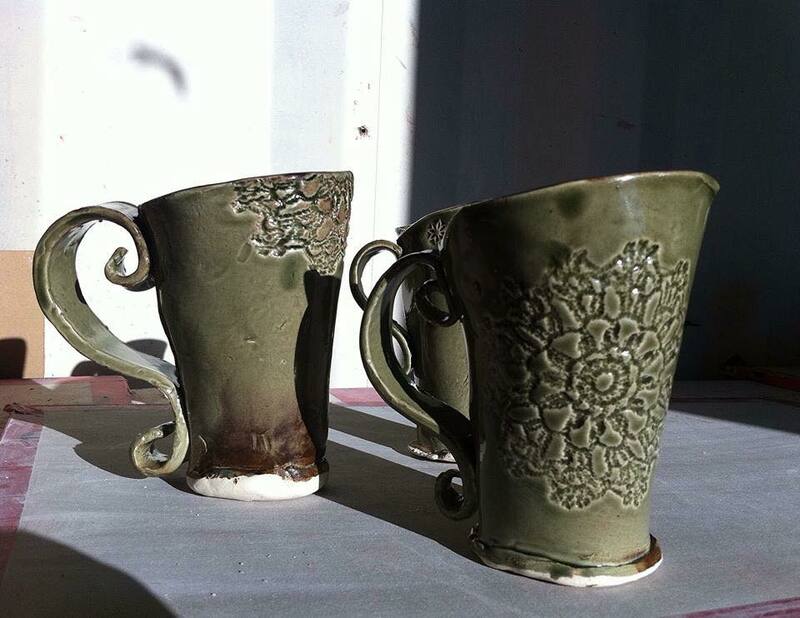 Some of the completed pieces created in class will be glazed with high fire glaze. Classes are small, with only 10 students, which allows for maximum one on one time with the instructor. All clay, glaze, and firing of projects are included in the cost of this class. However we do have glaze for purchase in our shop, should you choose to provide your own. Bring the paintings you've been working on and work on them in our supportive, bright studio space. Artist and Instructor Debbie Wozniak-Bonk will supervise each session and be available for tips, advice and help with technique as you complete your own work. Bring your paintings and supplies and be a part of our creative community of artists. If you choose to use paints and tools from the studio please add on a materials package to your purchase. The materials package will include use of our paints and brushes, participants are still required to bring their own work on whatever medium you've chosen whether it be canvas, paper or board. Debbie has a persistent quest in her work to express beauty, to reach outward and inward, to describe the truth of the human spirit, by exploring and documenting the prairie landscape. She is fascinated with the concept that the natural world is designed to be beautiful, inspiring and healing and works in layers captures the subtleness and complexity of her subject matter. In this course, Debbie shares her expertise and techniques for using glazing and gel mediums with acrylic paints to create beautiful imagery of nature. Students will learn how to paint landscape images using these techniques, how to mix colours, and use various acrylic mediums. This class is for any level of painter from the complete beginner to the advanced person looking to expand their knowledge of glazing techniques. Mindfulness is the process of bringing one's attention to experiences in the present moment which can be developed through meditation and creativity to help shape our attention and emotions. We will use processes of creativity to help train our minds to become more mindful. Through the process of art making and mindfulness you can help reduce stress and anxiety, improve mood, increase emotional intelligence and develop awareness. 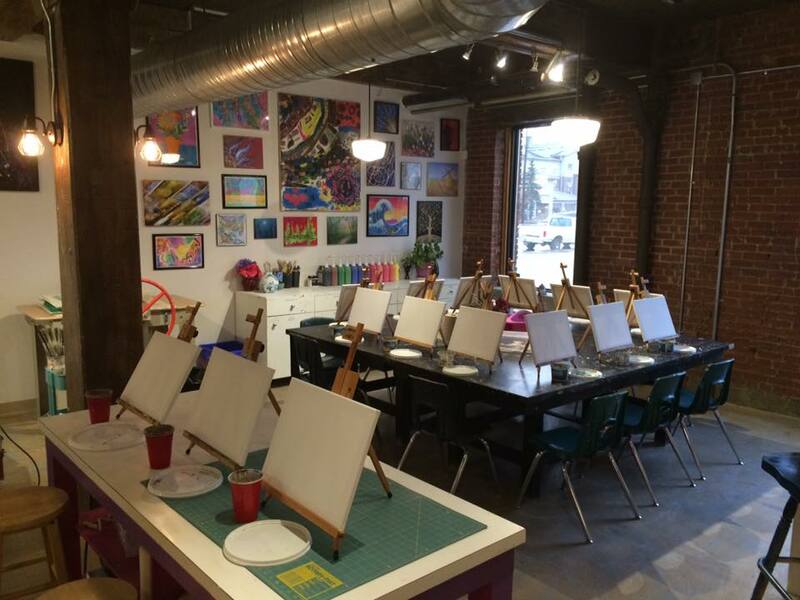 We will sample a variety of artistic mediums and techniques in this class including pen and ink, watercolour paints/pencils, alcohol inks, acrylic paint. No experience is necessary for this class only a willingness to let go and create. Before potters had the pottery wheel, they were creating spectacular pots and clay forms by hand. Using clay, their hands, and a minimum of tools they brought function and artistry together. In this pottery class students will learn the three basic hand built pottery techniques, Coil, Pinch and Slab construction and will create a variety of functional and decorative pieces using these techniques. All pieces created in this class will be glazed and fired to Cone 6, in our kiln. All clay, glaze, and firing of projects are included in the cost of this class. All tools are provided for student use during classes with no additional cost to the class participants.